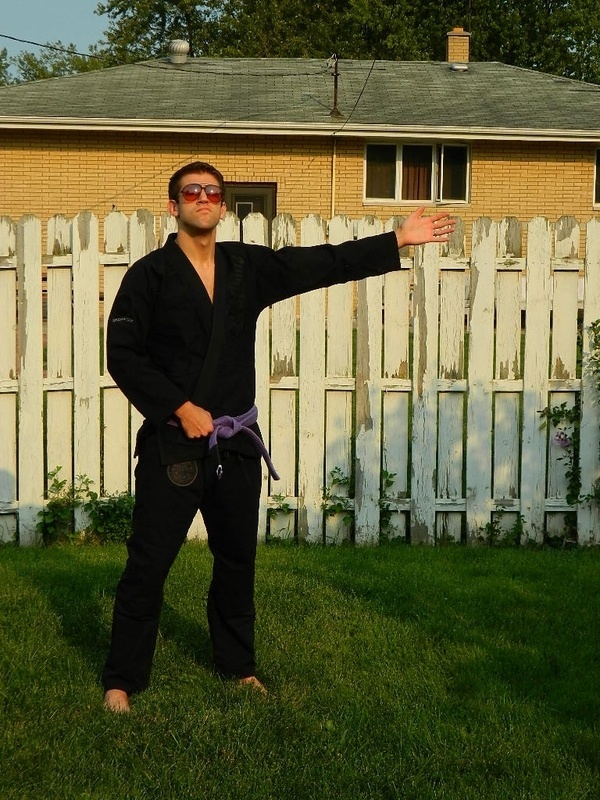 When Competidor first came out with their charcoal gi, I wasn’t a huge fan. Until I got to see one in person. 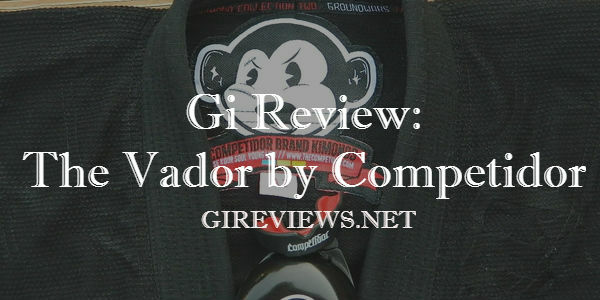 Competidor offers some really awesome designs combined with a reasonable price point and some decent perks that I really like and the Competidor Vador is no exception. 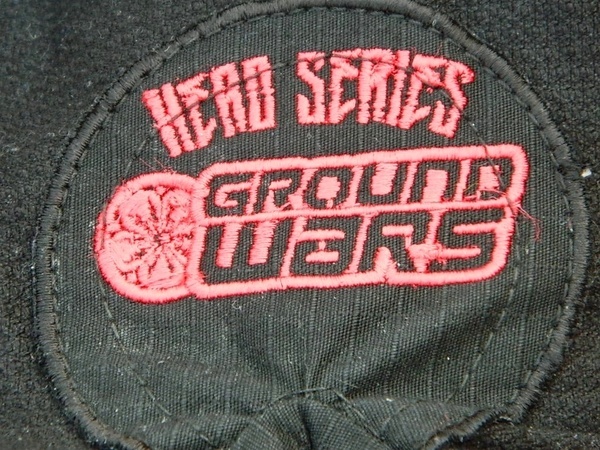 As a part of their Ground Wars series based on Star Wars (you know how I feel about Star Wars), I had to grab one! 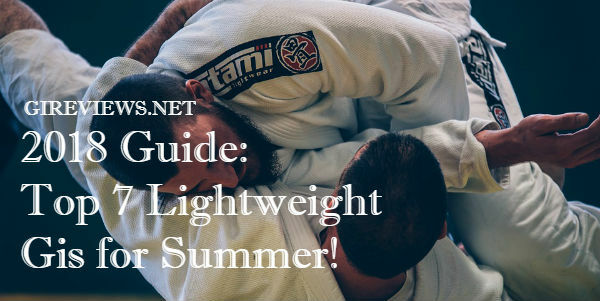 Check the prices on BJJ gis and more at Hypnotik! Black on Black is one of my favorite things ever. I love the Shoyoroll Yang, but still haven’t been able to buy/trade for one. It’s funny how much I like these gis despite loving gis with a ton of bling. 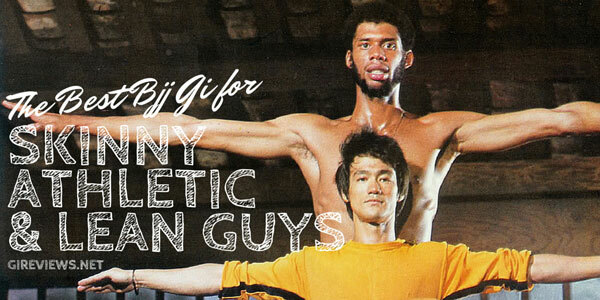 It’s like being able to wear an overly bling gi, without attracting attention. Bonus! The embroidery on the lapel is VERY nice. Understated and clean all the way. I also really like the interior seam tape, along the lapel, and also the very cool seam tape that is used along the bottom of the skirt and on the inside of both the sleeves and the pant leg. 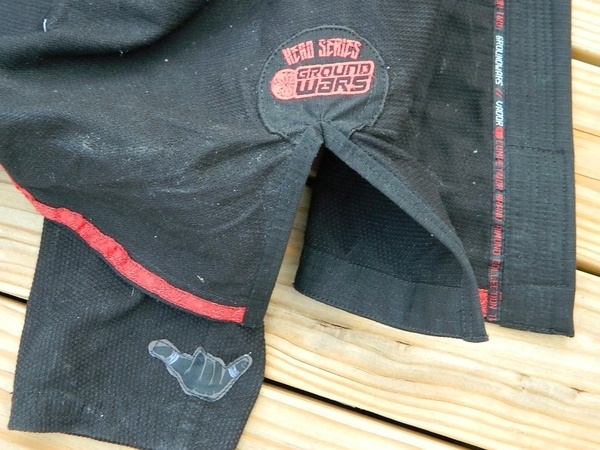 The shaka hand on the sleeve is a really nice touch and the seam taping along the inside of the jacket and sleeves is very well done and gives the gi a very clean and finished look. I’m 6’1” and 200lbs. and I wear an A3 in most gis. 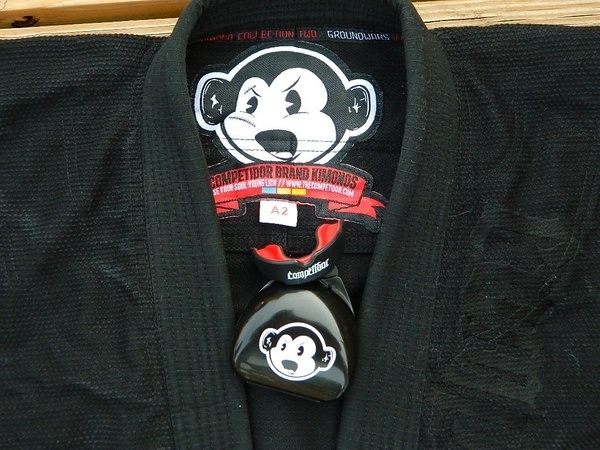 In fact, prior to this gi, the only gi that I had ever gotten in an A2 was my Shoyoroll Rio Koi. Based on recommendations of friends (yes, even I need recommendations! ), I decided to get an A2 in Competidor as well. While the measurements of the Competidor Vador A2 are reflective of an A3 in many other brands, I would still recommend that anybody who is my size (6’1″ and 200lbs) get an A3 in the Competidor sizing. The main reason is that while I love the jacket, the crotch of the pants is too small for my size. If I try to do a full split, then I will definitely rip them. And even though I tried really hard and they did not rip (+1 for quality construction), it was still very frustrating having my legs unable to move freely. Please also note that this was entirely my fault as Competidor recommended that I get an A3, but I had just recently gotten an A3 in Shoyoroll and was distraught with how epicly (is that a word?) massive it was and was afraid to make the same mistake again. 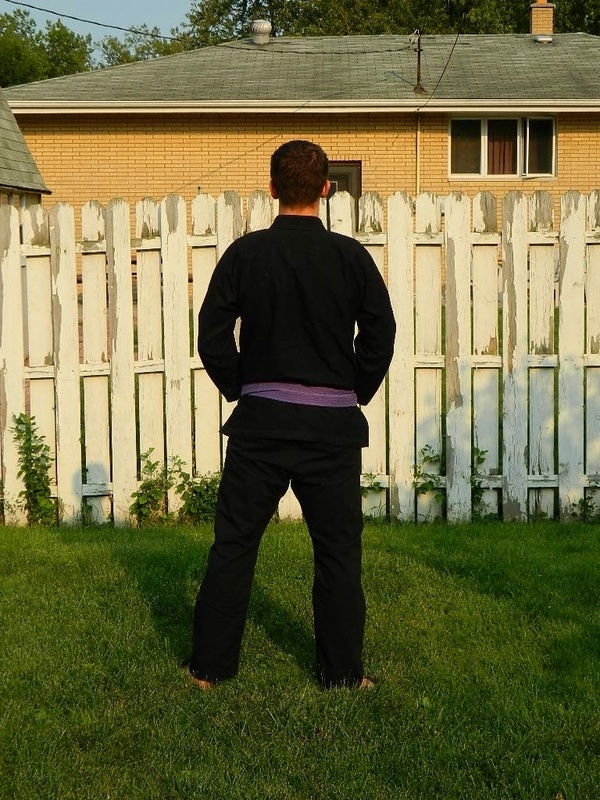 The pants are a good length on me at 40.5 inches, compared to my Full Metal JiuJitsu gi at 38 and my Scramble Wave at 39. Also, don’t be deceived by the jacket width (D) measurement of 25″. The A3 Scramble Wave also measured 25″ but has an 11″ overlap where the Competidor Vador has a 2″ overlap. This means that the wave can fit somebody upwards of 225, while anybody even 5-10lbs heavier than me would have a really hard time in the A2 Vador. As you can see throughout the review, the 450g pearl weave jacket is a bit smaller on me, but I love how it fits my midsection. I also really like having sleeves that aren’t uber long. 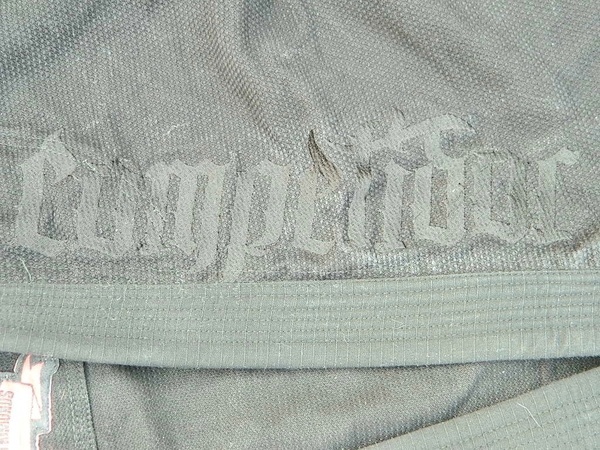 One of the biggest problems that a lot of people have been talking about is that the factory that made the Competidor Vadors accidentally used the children’s template on the arm embroidery. 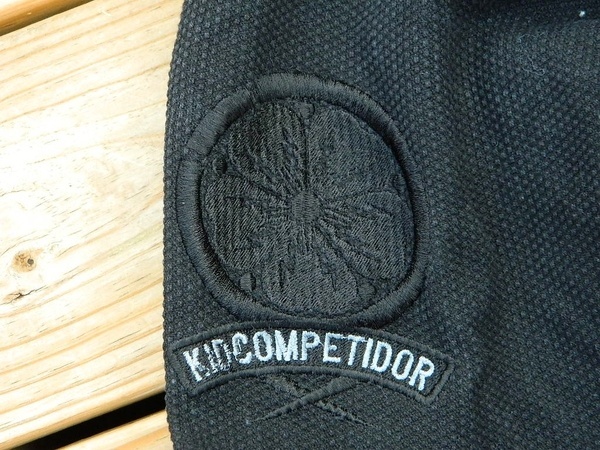 The arm should just say Competidor instead of “KidCompetidor.” This really isn’t a deal breaker for me personally because the company addressed it and is sending out patches to anybody who purchased a Vador. I think this is a great move as I was really bothered in the past when companies would screw up their production and send out messed up gis and then ask the consumer to pay to send it back. It’s the company’s fault they screwed up and the consumer shouldn’t have to pay a dime for that mistake. It’s nice to see Competidor agrees with me and is attempting to make things right. The shortness in the skirt is actually a bit of my preference. I like it a lot and it’s probably what attracted me to gis like my Bull Terrier New Star. 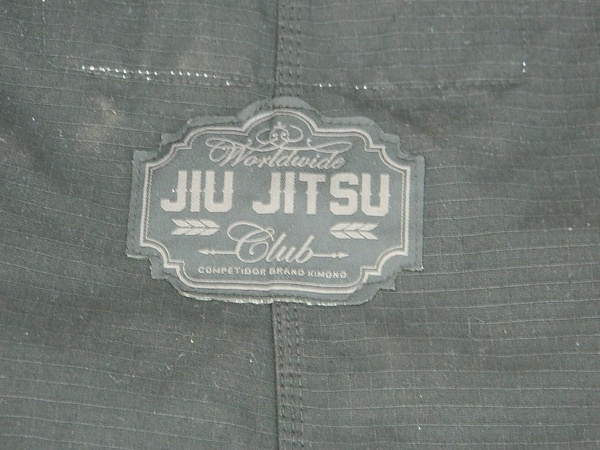 I also really like that they’re the first gi that I’ve ever seen with embroidered reinforcements on the jacket. This means they probably have to do the embroidery first prior to attaching the reinforcement, which I really like. The 10oz ripstop pants are great in length but I can’t do the splits in them. I noticed it the first day while stretching. 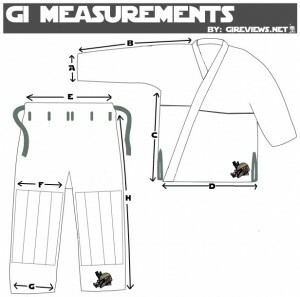 I think that A3 pants would have been a great option for me with this gi. On the Competidor Vador pants, there are 7, yes 7! drawstring loops. And they are not thin little pieces of contrast fabric that will rip off in a few months either. 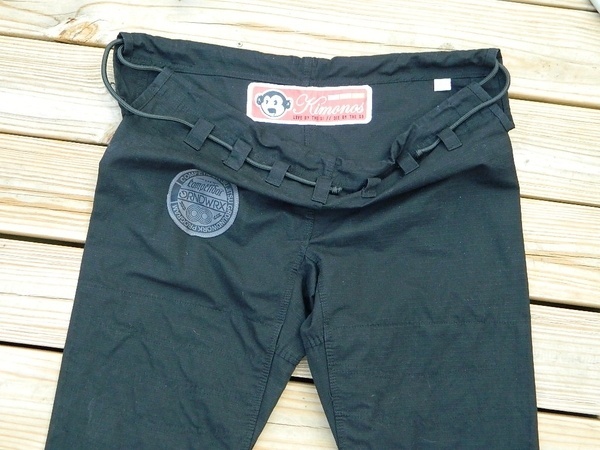 They’re made of heavy duty ripstop fabric, which is the same fabric used on the pants. I believe that these, in conjunction with the very solid drawstring, will last a long time and will not fall apart like other belt loop systems. Obviously with 7 loops, I had absolutely no problem with the drawstring shifting around during training. Going with the A2 was an excellent idea because of how it fit me around my midsection and with the sleeve length. The jacket is really awesome for me. The pants, however, are too small in the crotch for me (as noted above) and this really bothered me when I was rolling. I’m not the most flexbile person in the world, but having my legs pinned together was really troublesome when shooting and when playing guard. 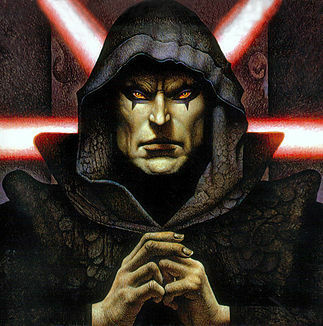 On a scale of little kid Anakin to Darth Sidious (Emperor Palpatine), I would rank this gi a Darth Bane. The alternate bicep embroidery on one sleeve really isn’t a make or break for me at all. 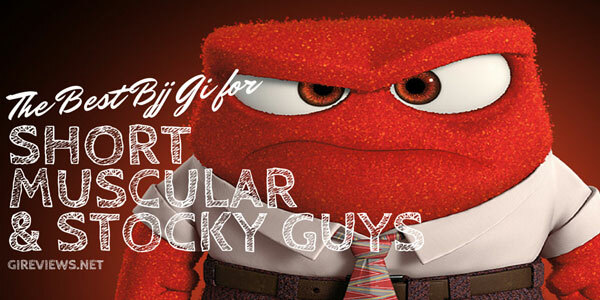 In fact, when I first saw it, I thought Kid Competidor was the name of their cartoon mascot. While I do really lament getting an A2 instead of an A3, like I normally wear, it’s really only because the crotch is too small for me. If I pull the pants up a bit, it really isn’t a problem for me, but if I leave them where they sit comfortably while standing, the crotch becomes an issue. I will definitely recommend that you go with your normal sizing and if you’re 6′ and 170-190, then maybe consider an A2. 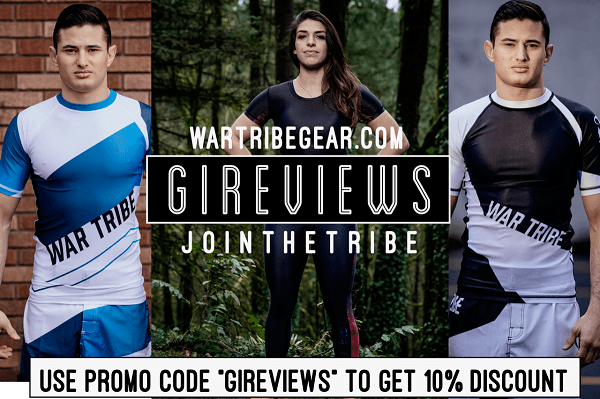 Check out their kimonos and other BJJ related products through their website. Awesome review, really wish I had picked one up. Good review! So whats the status of these patches being sent out? I cant get an answer from Competidor, It’s kinda frustrating. I’m still not sure. 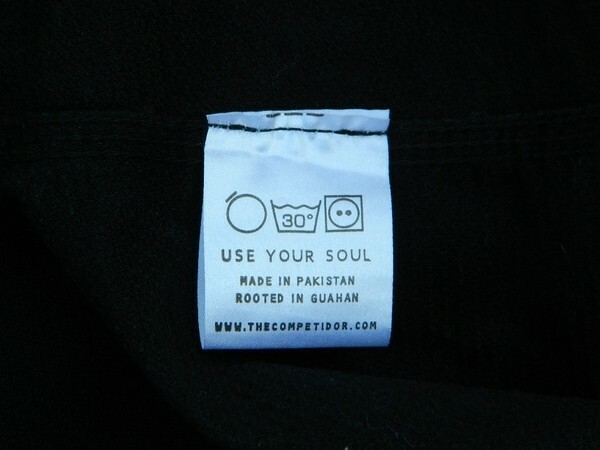 I’ve tried contacting the owner of Competidor numerous times, but have received no response.